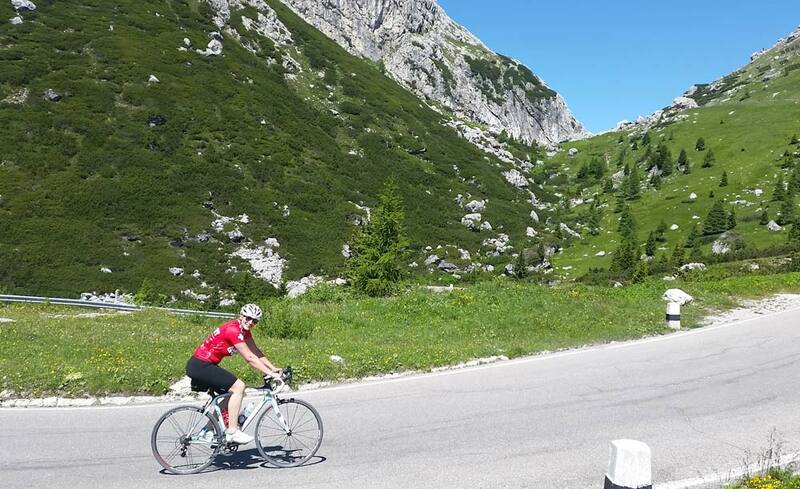 Select your holiday from the Maratona Cycling Holiday page. 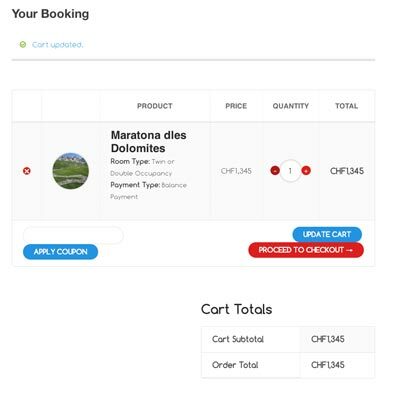 Select your Room Type and Payment Type. 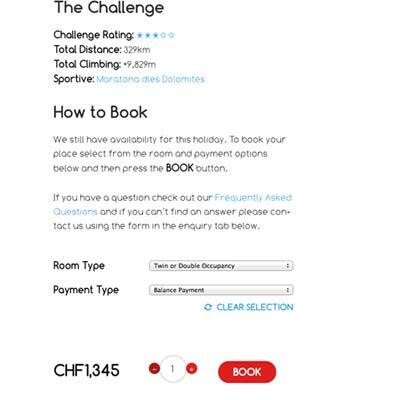 All holidays require a deposit to book your holiday. 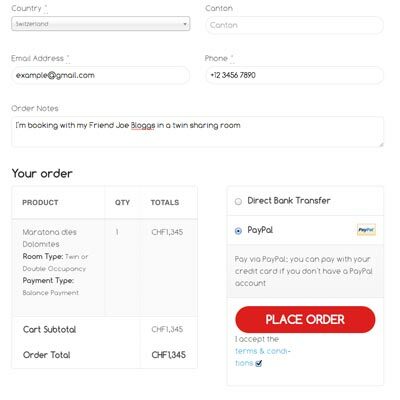 Check you have selected the correct options and press PROCEED TO CHECKOUT. 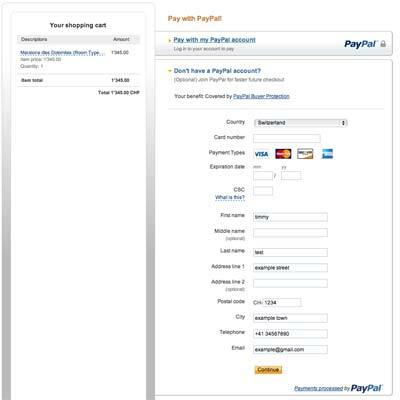 If you have a discount coupon you can apply it here. 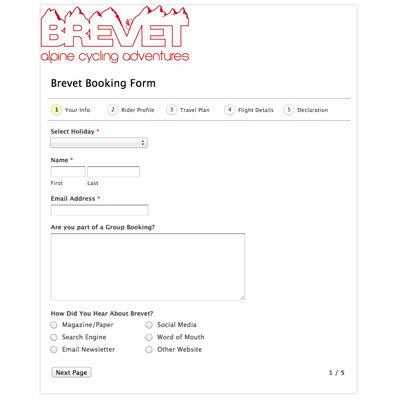 Enter all your contact details in and any notes about your booing for example whether you are booking in a group and have a room sharing preference. 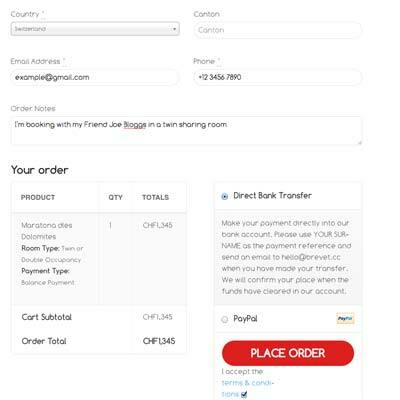 If you choose to pay by Bank Transfer you will be redirected to a confirmation screen that includes all the bank details you need. These details will also be emailed to you. 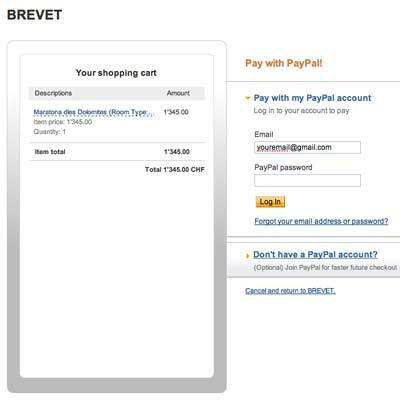 Once you have made your Bank Transfer send an email to hello@brevet.cc and as soon as the money hits our account we will confirm your order. 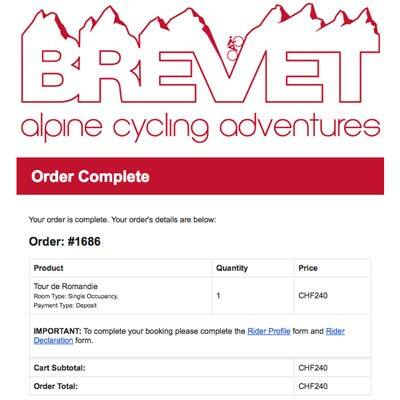 All bank transfer costs are payable by the guest and the payment must be received by Brevet in full and in Swiss Francs (CHF). Don’t forget to accept the Terms and Conditions. 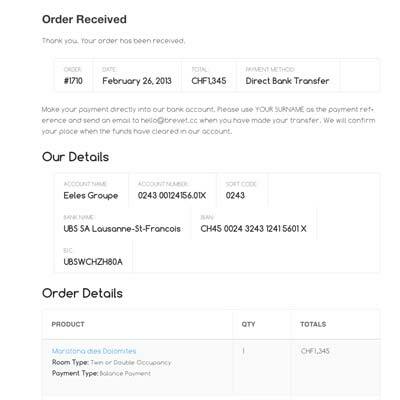 This email contains a link to the Booking Form which must be completed to confirm your booking. If you have any questions at all please do get in touch.